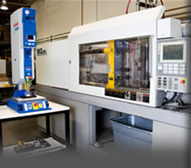 SR Plastics understands that manufacturing injected molded products and assemblies often requires additional services. We provide injection molding secondary operations to assist customers in providing a completed product either to use as manufactured or as a modular sub-assembly that can be easily installed into a top assembly. Examples of our secondary operations expertise include sonic welding, over molding, hot stamping, machining and assembly. The sonic welding process securely bonds two similar materials. In sonic welding, the movement of sound waves softens the materials and facilitates strong adhesion. In most cases the strength of a sonic welded bond is similar to the strength of the raw material. The unique sonic welding technique can also be used to attach metal inserts during the injection molding process, generating a reliable bond between both components. SR Machining possesses extensive experience in precision CNC milling, CNC turning, fabrication and assembly utilizing a wide variety of engineered plastics and metal alloys to compliment our injection molding process. Our ability to provide a combination of manufacturing services helps to simplify the procurement process. 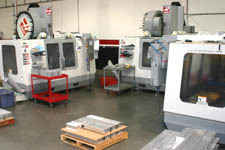 Another valuable injection molding secondary operation we offer is over molding. Over molding is ideal when molding two compatible materials together in a two part process generating a finished product. This process is an efficient operation when two engineered materials are desired within a component, to accomplish two distinct functions. Hot stamping is used to accomplish plastic decorative injection molding identification in products providing an insignia with a metallic appearance. The hot stamping secondary operation employs heated foils to provide an embossed finish through the use of a magnesium or urethane die. SR Plastics aims to provide timely plastic injection molding services. 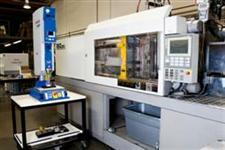 Secondary machining and assembly of the precision plastic products provides the customer with a completed product without additional processes being contracted. Precision plastic injection molding coupled with our secondary services combine for an efficient product acquisition for maximum convenience and customer satisfaction. In many cases combining processes into assemblies and sub-assemblies limits part numbers, lowers inventory, and improves financial performance. Whatever your requirement or need in precision injection molded plastic or thermoplastic rubber products, contact SR Plastics today to discuss your application.